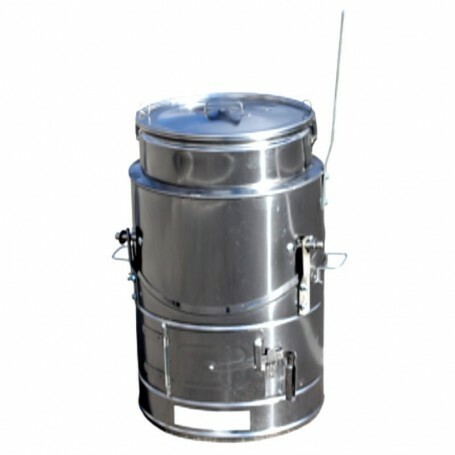 Quick-cooking boiler for open-air cooking to prepare large quantities of food. The boiler can be used to cook food during celebration and socializing, for heating water, for pork products processing, etc. The boiler is made of high quality stainless steel 304 stainless steel sheet certified for use in the food industry. The boiler furnace is also made of inox with reinforced edges and tilting mechanism for quick discharge.